Meredith Pardue was born in Monroe, Louisiana in 1975. 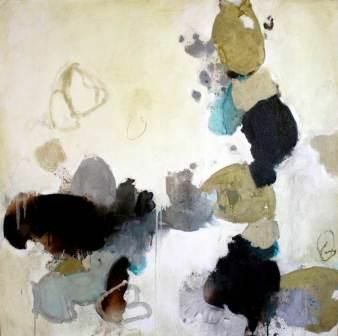 An abstract artist, Pardue earned her MFA. from Parsons School of Design in New York and a BFA. from the Savannah College of Art and Design. She currently lives and work in Austin, TX. 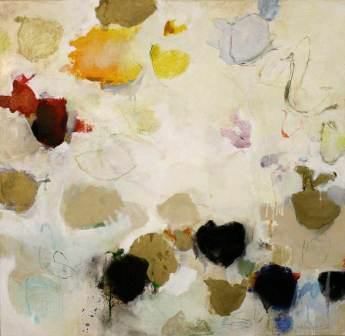 Her work has been exhibited and collected worldwide, published in Architectural Digest, Dwell, New American Paintings and Austin Monthly Home. Her work is included in the corporate collections of J. Crew Corporate Headquarters, Genstar Capital, The Michael and Susan Dell Foundation, Oceania Cruise Lines, Scott and White Children's Hospital and the Savannah College of Art and Design. She combines the random action of painting with controlled, deliberate mark-making to describe each form in her work, which often appears plant-like in structure. The canvases are composed of organic forms that are similar to and possibly even derivative of those found in nature. But ultimately, the paintings are a visual record of an unplanned dialogue between herself and a blank canvas. Together, the marks and forms create a visual language that reads as something unique to each viewer. Pardue hints at a certain relationship between physical and psychological space in her works which, in a sense, is true. However, her approach to making a painting is much more comfortable, intuitive and personal than that and so the result of her visual investigation - the painting - reflects that process. She is most interested in extracting singular experiences from life's endless cycles of growth and decay, and in transforming the public worlds of nature and human dynamics into a place of private knowledge.